A favorite carnival treat at your backyard party. 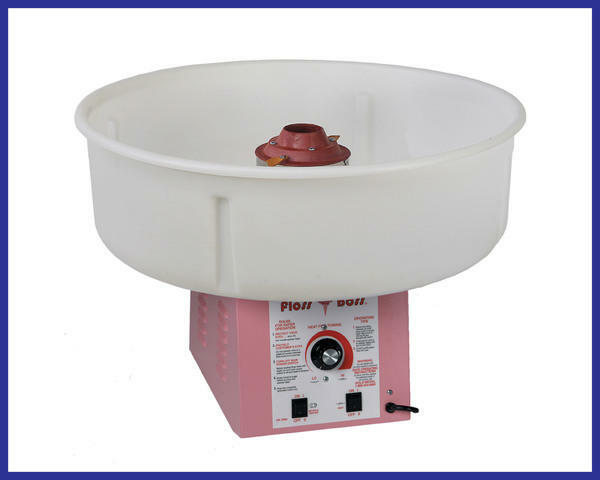 Each to use cotton candy machine includes bubble lid to prevent messes. Includes premeasured easy to use servings in 5 mix and match flavors for 50 guests. Must be on a dedicated 15 amp circuit. No mess clean up. When done simply remove the excess candy from bowl and wipe out. Our staff will do the rest.